These dainty dollops are perfect treats with a refreshing peppermint ganache inside a dark chocolate shell. The tubes contain ten disc shaped chocolates, ideal for sharing. They are suitable for vegetarians and free from gluten, GM, colouring & preservatives. Dark Chocolate (Cocoa Mass, Sugar, Cocoa Butter, Emulsifier: SoyaLecithin & Vanilla) (90%), Butter (7%), Cream (2%) and Natural Flavouring: Peppermint Oil. 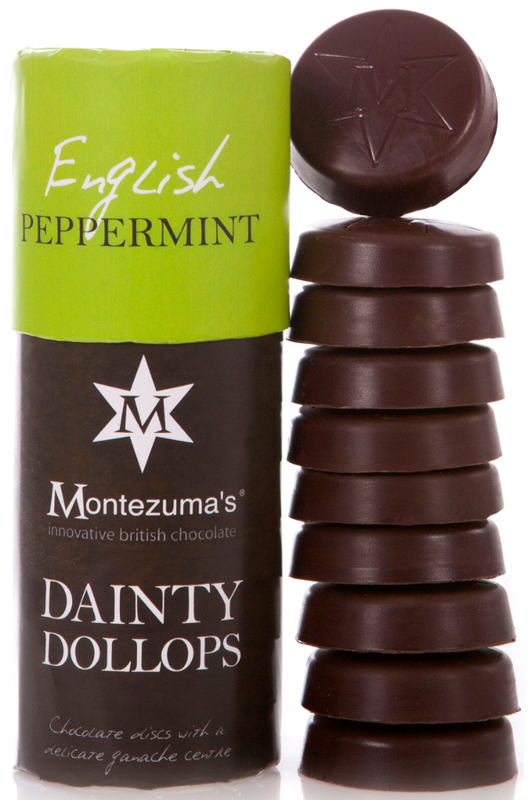 The Montezuma's English Peppermint Dainty Dollops - 150g product ethics are indicated below. To learn more about these product ethics and to see related products, follow the links below. My sister loved them ! 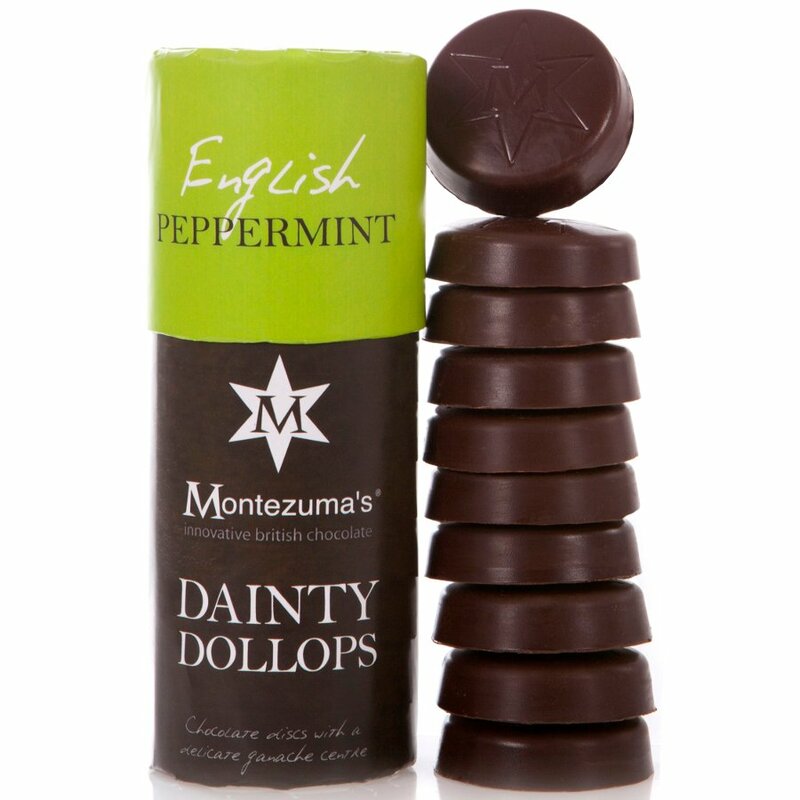 There are currently no questions to display about Montezuma's English Peppermint Dainty Dollops - 150g.